As I’ve previously explained, weight training volume (the amount of exercises, sets and reps you do) is a key factor influencing the effectiveness of your workout routine. Meaning, if you want to get the best results possible, your goal is to use an optimal amount of volume for each body part and muscle group per workout and per week total. The thing is, there is no exact amount of weight training volume that is absolutely perfect for everyone. Due to individual differences like specific goals, training experience, genetics, volume tolerance, work capacity, recovery capabilities, and more, it’s impossible to make one recommendation that suits everyone. After 10+ years of obsessive research, firsthand experience and observing a ton of real world results, you start to notice that the most successful workout programs tend to have certain things in common. In this case, I’m talking about volume. More specifically, the total amount of sets and reps being prescribed per muscle group and body part per workout and per week. As it turns out, science appears to agree with this “range” too. The majority of the studies I’ve seen over the years that have looked at workout volume (most notably one by Wernbom et al.) show that there is in fact an amount of sets and reps per body part/muscle group that tends to work better than everything else. Combine all of that with various other expert recommendations, and you get what I like to call The Optimal Volume Range. For each bigger muscle group: about 60-120 total reps PER WEEK. For each smaller muscle group: about 30-60 total reps PER WEEK. Chest: 60-120 reps per week. Back: 60-120 reps per week. Shoulders: 30-60 reps per week. Calves: 30-60 reps per week. Abs: 30-60 reps per week. And there it is… my recommendations for the optimal volume range. Can more or less volume also work? Yeah, it’s certainly possible. However, this is once again NOT about what can work. This is all about what works best. And, based on scientific research, real world results, 10+ years of firsthand experience, expert recommendations and the most successful weight training programs in existence, this appears to be the amount of volume that works best for most people. Basically, this is the optimal total weekly amount of volume you should use for each muscle group and body part. In order to break it down in terms of what you need to do each workout, you must apply this optimal volume range to your chosen weight training frequency. Meaning, the exact amount of sets and reps you should do each workout depends on whether you will be training each muscle group/body part once, twice or 3 times per week. Training each muscle group once per week. 60-120 reps for each big muscle group per workout, with just 1 workout for each muscle group per week. 30-60 reps for each small muscle group per workout, with just 1 workout for each muscle group per week. With a workout schedule that only trains each muscle group once per week, you would need to get that entire weekly volume range in during your 1 weekly workout for each muscle group. Training each muscle group twice per week. 30-60 reps for each big muscle group per workout, with about 2 workouts for each muscle group per week. 15-30 reps for each small muscle group per workout, with about 2 workouts for each muscle group per week. With a workout schedule that trains each muscle group about twice per week, you would need to divide that weekly volume range by about 2 and split it up evenly over your 2 (or so) weekly workouts for each muscle group. Training each muscle group 3 times per week. 20-40 reps for each big muscle group per workout, with 3 workouts for each muscle group per week. 10-20 reps for each small muscle group per workout, with 3 workouts for each muscle group per week. With a workout schedule that trains each muscle group three times per week, you would need to divide that weekly volume range by 3 and split it up evenly over your 3 weekly workouts for each muscle group. Should You Use The Low, Middle Or High End Of The Volume Range? The second question you probably have about the optimal volume range is whether you should use the low, middle or high end of it. This question goes back to what I mentioned earlier about there being no EXACT amount of volume that is perfect for everyone because of various individual differences. Well, it’s those individual differences that will answer this question. 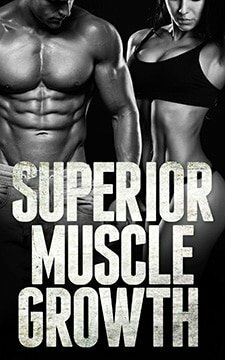 If you are a beginner with ANY goal (building muscle, increasing strength, losing fat, etc. ), then you will do best staying in the lowest end of the volume range. If you are an intermediate or advanced trainee with the primary goal of building muscle (or anything “looks” related), you should most often stick to the middle-higher end of the volume range. If you happen to have below average genetics and/or a below average ability to recover, then you’d be best served to stay in the lower end of optimal volume range. If you are an intermediate or advanced trainee with the primary goal of increasing strength, you should most often stick to low-middle end of the volume range. 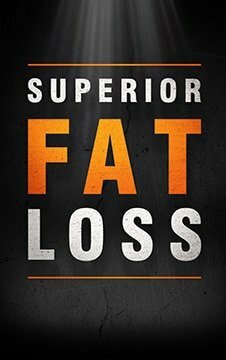 If you are a beginner, intermediate or advanced trainee with the primary goal of losing fat and maintaining muscle (and possibly building some) while you lose that fat, then you would do best sticking to the lower end of the volume range. Why Is There Less Volume For Smaller Muscle Groups? A third question you might have about the optimal volume range is why there is less recommended for smaller muscle groups than there is for bigger muscle groups. This is partly due to the fact that they are smaller and just don’t need/benefit from as much volume as larger muscle groups. However, it’s mostly due to the fact that those smaller muscle groups already get used pretty hard secondarily while training the bigger muscle groups. Meaning, they already get a ton of indirect volume. For example, most chest exercises also hit the shoulders and triceps quite well, most shoulder exercises also hit the triceps quite well, and most back exercises also hit the biceps quite well. There is a very significant amount of overlap there, and it definitely needs to be accounted for when planning your workout volume. The optimal volume recommendations already factor this in.